Our Color Remover makes it possible to remove the existing color from yet-to-be dyed fabric, giving you a dye-ready canvas for spectacular results and true color. It’s also the perfect solution for removing removing dye stains (washed by mistake with colored items) and even food stains (such as fruit juice, ketchup and tea) from whites. Unlike traditional bleach, which contains chlorine that can damage fabric, Color Remover is chlorine-free so that you can safely dye fabric after removing it’s color. Perfect for dye projects where you want to completely change the color of the fabric or as a pre-treatment for faded, discolored and stained fabric. It can even be used to remove dye from fabric dyed incorrectly. 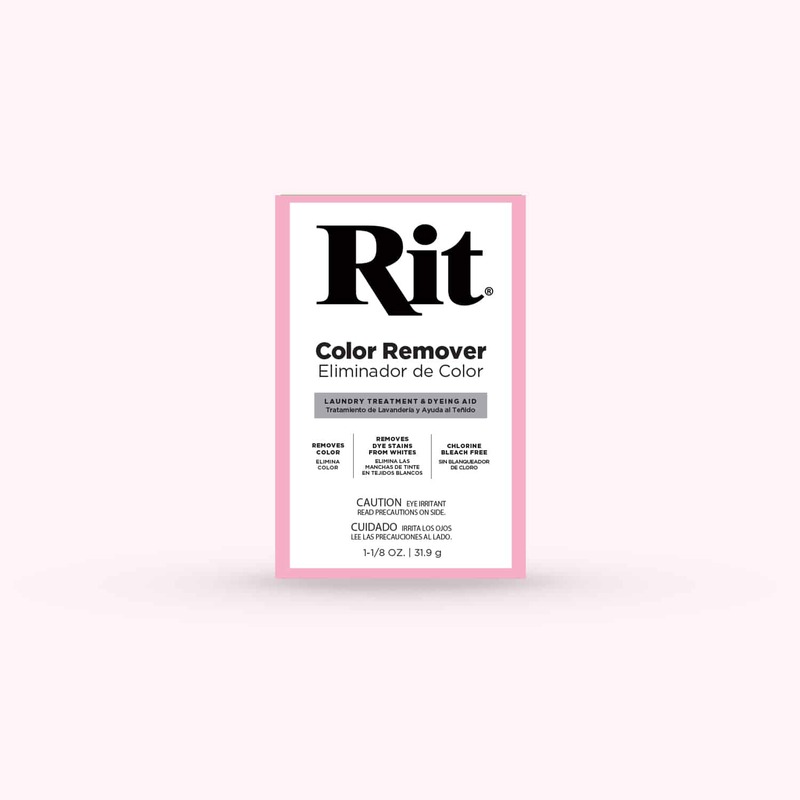 Looking for instructions on how to use Rit Color Remover? You’re in luck! You can find everything you need to get going here.